Waters & Stanton Blog » Blog Archive » Bob Heil’s HAM Nation Webcast! Exciting news for Ham Radio enthusiasts everywhere. 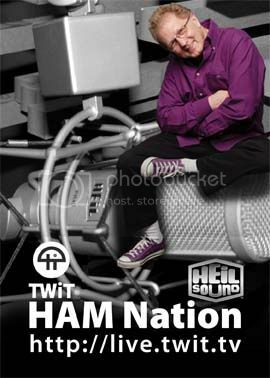 Leo Laporte’s ‘This Week In Technology’ (TWiT) has launched “HAM Nation”, a weekly HD video webcast about Ham Radio hosted by Bob Heil, K9EID of Heil Sound. The show features interesting guests and interviews about ham radio and technology. The opening theme was written and played by Joe Walsh, WB6ACU famously of The Eagles, a well known radio ham. To watch set your browser to http://twit.tv/hn each Tuesday Evening at 8:00 pm CDT (2am UK) watch the live broadcast which also will be archived on Leo Laporte’s TWIT network – there are already 3 episodes for you to catch up on, so get watching! This entry was posted on Wednesday, June 8th, 2011 at 1:27 pm and is filed under News. You can follow any responses to this entry through the RSS 2.0 feed.You can skip to the end and leave a response. Pinging is currently not allowed.